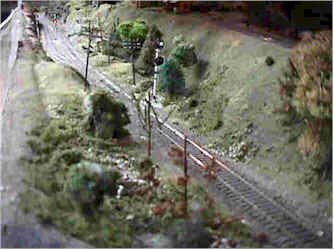 So, in December 1998, we moved a large piece of the former layout, Middleton Yard, to our new location and began construction on what will become a 40’ X 140’ giant train layout, consisting of six “peninsulas”, positioned like two “E”s back-to-back. This was called “Building 51”, since it was the actual number of the building from the War; there were hundreds of buildings in the area known as Bare Cove Park. We are proud of what has been accomplished in 16 years, since the building was built in 1917 and had NO utilities whatsoever. After having a roof put on the building, we paid to have 3-phase electric service brought into the park, and then had a 480-ft water well drilled, to bring potable water to the building. 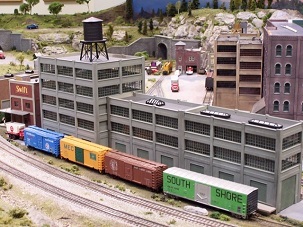 A septic system was installed and then a 15-ton HVAC unit was craned in to the side of the building to provide the necessary climate control to accommodate a delicate HO model railroad. The first 2,500 square feet of the 10,000 square-ft. building was set aside for member amenities, such as an office, library, meeting room and two restrooms, along with a spacious entry room, which includes display cases and historical items. The layout is almost ½ completed, with three of the six peninsulas taking shape. Wiring and scenery will be completed within the next six months for the third peninsula and design of the fourth peninsula will begin. Estimates of “completion” of the whole layout vary from 5-25 years. Of course a good layout is “never done”, as sections have to be rehabbed or improved over original construction. The fictitious railroad called “East Coast Lines” has been the name of the Club’s railroad for at least 50 years. It is lost to time as to the actual date this was thought up, or who it was that suggested the name. Our railroad runs from Boston to Oswego, New York, via Bethlehem, Pennsylvania, with a branch running to Reading, Pennsylvania. This enables all the New England railroads, Anthracite railroads and the Pennsylvania and New York Central railroads to have a valid place in the “East Coast Lines”. This route also justifies the Steel Mill and related industries along the way. 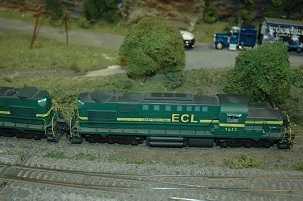 Upon moving to Hingham in 1998, and starting a whole new railroad, it was agreed that we would model the “transition era”, the most popular era in model railroading, as it was the time that railroads were transitioning from steam to diesel power—the 1950s and ‘60s. 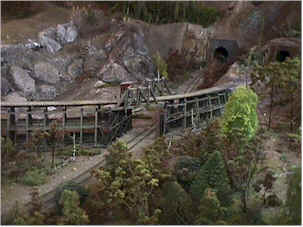 This doesn’t mean that we don’t allow older equipment or modern equipment on the railroad, but it does set the pace for the scenery and what people see on the layout is set in that era. We also decided that the time of year would be mid-to-late September, which justifies a few colorful trees amongst the greenery—famous New England foliage time! Our official meeting nights are Mondays and Thursdays. Visitors are welcome on those nights, except for the first Monday of the month, which is our members’ Business Meeting. We have at least two Open Houses each year, one in March and one in October, which are two-day events and where we show off our progress to the public. Admission gets you inside both days. There are also dealers and a well thought of “White Elephant Table”, where bargains can be made on “gently used” Railroadiana. A one-day Open House in the middle of the summer has met with success in the past and will probably become an annual event. If you do plan on visiting at other than Open House times, please call ahead first.